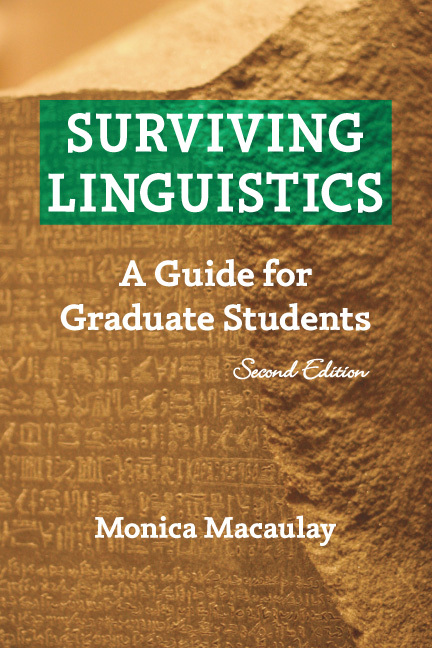 In just over a week, we are publishing the second edition of Monica Macaulay’s popular Surviving Linguistics: A Guide for Graduate Students! We’ll have this fully updated second edition at the LSA meeting in Pittsburgh. Come by our exhibit booth any time during the conference, and on Saturday, January 8, swing by at 11:00 a.m. to meet the author and enjoy some chocolate truffles! The LSA will be the first chance to see the second edition. If you won’t be at the LSA, you can order a copy now to be shipped on January 7. Cascadilla Press will have a book display at the 85th Annual Meeting of the Linguistic Society of America, which will be held January 6-9, 2011 at the Wyndham Grand Pittsburgh Downtown Hotel. We won't be able to fit everything in the car to bring to Pittsburgh, so we're asking you to let us know what (besides our latest linguistics titles) you'd like to see at our LSA display. Games and teaching aids, like IPA Bingo and Magnetic Phonetics? Recent conference proceedings from Cascadilla Proceedings Project? IPA chart posters from our CafePress shop? Leave a comment or email us at sales@cascadilla.com, and we'll see you at the LSA!